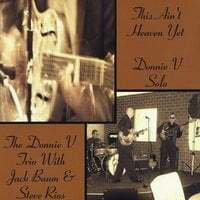 Hi and welcome to donniev.net!! Be sure to hit the play button at the top of the page on the audio bar to listen to the music! Please sign our guestbook and click the share buttons on any page to pass it on to freinds & family!!! There's more to come, photos, lyrics and God's willing video so keep checking back!!!! We pray we see you soon!!!! We would also like to encourage everyone who has a prayer request to go to Leonetta's corner to post your prayer request!! No names are needed Our Father knows who you are!! For all of us who see the prayer needs we can please lift them up in prayer!! Feel free to share answered prayers as well!! Our Prayer for this website is that EVERYONE can be involved in LOVING & ENCOURAGING ONE ANOTHER!!! HONEY AND I BESEECH YOU PLEASE, PLEASE ALWAYS THANK OUR MILITARY FAMILY HERO'S!!! !